Professor Tarp has some 38 years of experience in academic and applied development economics research and teaching. His field experience covers more than 20 years of in-country work in 35 countries across Africa and the developing world more generally, including longer-term assignments in Swaziland, Mozambique, Zimbabwe and Vietnam. He is the Director of UNU-WIDER since 2009 and also Professor of Development Economics at the University of Copenhagen. Professor Tarp is a leading international expert on issues of development strategy and foreign aid, with an interest in poverty, income distribution and growth, micro- and macroeconomic policy and modeling, agricultural sector policy and planning, household and enterprise development, and economic adjustment and reform. He has published almost 90 articles in international academic journals—including The Economic Journal, Journal of Development Economics, World Bank Economic Review, European Economic Review, American Journal of Agricultural Economics, World Development, Oxford Bulletin of Economics and Statistics, Land Economics, Review of Income and Wealth, Journal of Economic Geography, Feminist Economics, Economic Development and Cultural Change, and Climatic Change—alongside five books, 14 edited book volumes and special journal issues and more than 40 book chapters. 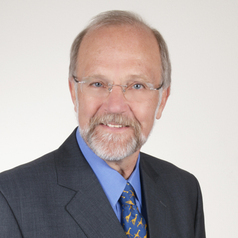 In addition to his university positions, Finn Tarp has held senior posts and advisory positions within government and with donor organizations, and he is member of a large number of international committees and advisory bodies. They include the European Union Development Network (EUDN) and the African Economic Research Consortium (AERC). He is also a member of the World Bank Chief Economist’s 15 member ‘Council of Eminent Persons’ advising the Chief Economist and he has been awarded the Vietnamese Government Medals of Honour for ‘Support to the Planning and Investment System’ and the ‘Cause of Science and Technology’. On 20 November 2015 Her Majesty the Queen of Denmark awarded Finn Tarp with the Order of the Dannebrog.